SKYFALL Cast Hits The Catwalk | Birth.Movies.Death. 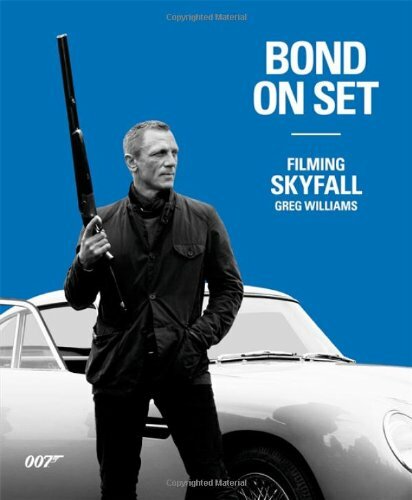 Bond characters get all gussied up for banner ad. BAD doesn't have a team of fashion experts on staff; we're all still knocking around in our Dawn of the Dead and Planet of the Apes t-shirts, so here's hoping the comment section below can get all Project Runway on this new character banner for Skyfall. To his right is Bérénice Marlohe, filling the hell out of a lovely dress. Not much else to say; I'm a gentleman. Next to her is Javier Bardem as Silva. I'm jazzed over this goofy look - the tertiary Bond films come with certain expectations, and one of them is a larger than life villain. Done and done. Lastly, there's Naomie Harris as "Eve." I'm still thinking there's a reason we don't know her last name yet. Perhaps she's benched with a desk job after this entry, since from what we've seen in trailers and her choice in pants here is that she's maybe not cut out for field work. See the full-size banner here.